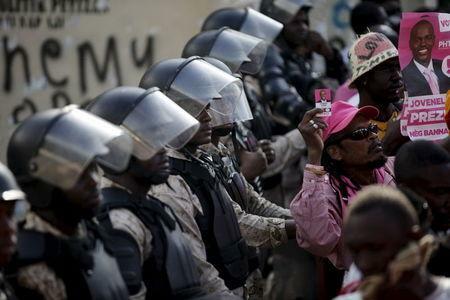 PORT-AU-PRINCE (Reuters) - Haiti's repeatedly postponed presidential election may not happen until October, President Jocelerme Privert said on Sunday, as street protests erupted on the day the impoverished Caribbean nation missed an agreed date for a run-off vote. 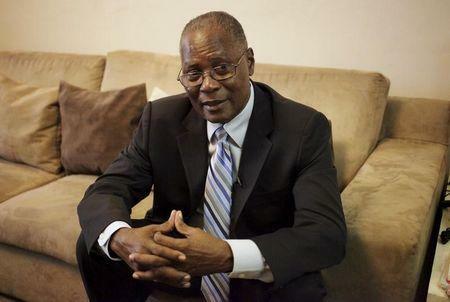 Speaking to reporters as Haiti missed the deadline, Privert suggested the country should now choose its next president at the same time as an Oct. 30 deadline for a senate election. "Does the country have the financial means to organize two elections?" he said to reporters when asked about the likely date for the vote. Although the April 24 deadline for the election was widely seen as unrealistic, thousands of protesters took to the streets on Sunday to demand the chance to cast their votes. 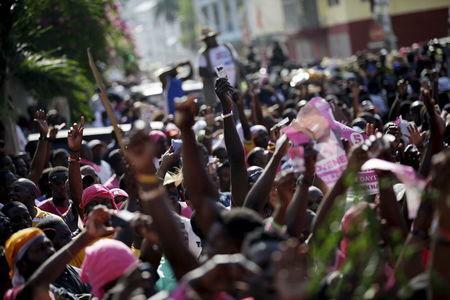 Haiti has been in political turmoil since a first-round presidential vote in October was questioned by losing candidates. Authorities have missed four deadlines for the run-off and are now setting up a team to evaluate allegations of fraud in the October results.